As their careers wind down,Which Pride legends had the best career post the buy out? Discussion in 'UFC Discussion' started by joeyp1, Jan 17, 2013. 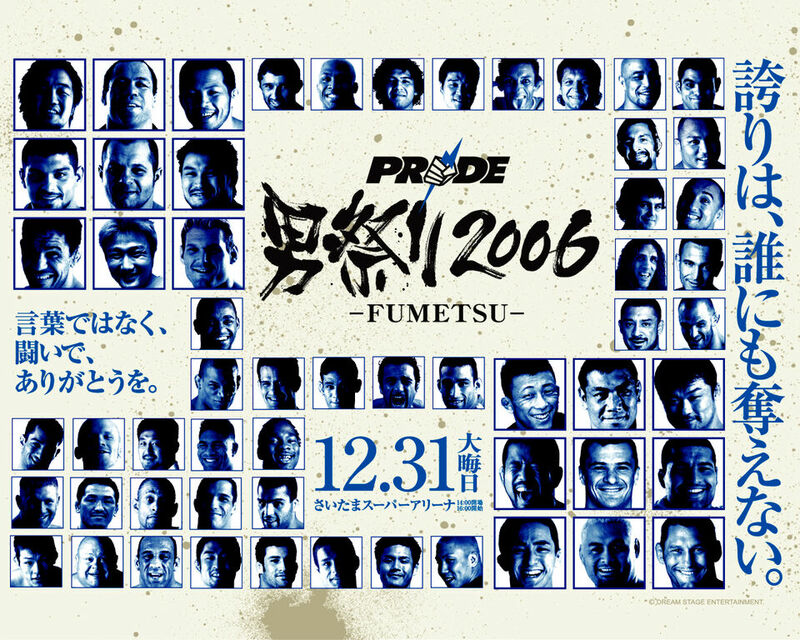 Im not including Overeem or Silva for obvious reasons as "pride legends". Silva was 3/5 in pride and Overeem was 7/14. Shogun or Rampage. Both got belts. I'd say Shogun. good choice, lots of guys have done well. Fedor went on to beat two of the best guys from their generation in Sylvia and Arlovski. Hendo for me. Even though he lost both the unification bouts and has not won a UFC belt (as least not yet), he has gone on to do some incredible things and grown his legend to another level. You think? Shogun went 5-5 and lost the belt in his first defense. Rampage is 7-4 and unified the PRIDE MW and UFC LHW belt, but also lost the LHW belt on first defense. Plus the outside the ring stuff, as I mentioned. I agree that down the road, when all their careers are over, Hendo will be seen as having done the most. I'm still hoping against hope he can get Jones' belt from him. Hendo probably, KO'ing Fedor was quite the coup. Rampage became the #1 LHW and beat Hendo in a unification match post buyout tho...so its tough to say. It's pretty close between Page, Shogun, Hendo and Fedor. Page had a really great start securing the LHW throne and defending against Hendo who himself was coming into the UFC with some great credentials from Pride. He still looked competitive but then had a pretty steady and consistent decline starting with his A-Team involvement and subsequent loss to Rashad. Shogun started off very slowly, looking like a shell of his former self. Still his win over Machida (who at that point was looking unbeatable) really proved that he was one of the top LHWs in the world (plus brutal knockouts of Chuck and Forrest). Fedor, while never appearing in the UFC, immediately dispatched of 2 of the UFC's prior top talents (while they were still relevent). Of course the HW division improved very quickly and Fedor fell off very fast after his loss to Werdum. Hendo, while failing to secure UFC titles, only got better with age. The only man on this list who is still in title talks at LHW Hendo has wins over Palhares, Franklin, Bisping, Babalu, Feijao, Fedor, and Shogun post Pride. Pretty damn impressive considering his advanced age. Shogun, Rampage, Hendo, Big Nog and Fedor are all very close. Little Nog is not far behind. That's a sick poster too! 1. Shogun after 2 knee surgeries defeated Liddell & Machida (twice) to become LHW Champ. 3. Hendo - would be #1 if he wins a belt in the premiere organization. As of right now it's Shogun or Rampage... but Hendo is far from done, even though he probably won't get the belt I think he'll still end his career on a high note, and I don't see the same thing happening for those 2. Rampage has become the biggest cry baby in MMA, and even though Shogun is still a warrior and you can't say much bad about the guy his best days are certainly behind him. Big Nog hasn't done terrible in the UFC, but he has lost his "indestructible" image and the image of being the greatest BJJ heavyweight there ever was. His fight with Randy will go down as his finest moment in the UFC imo. Hendo fought for two UFC titles, got the SF title and was about to get another UFC title shot, not to mention KO'ing Fedor.